Instead of launching native apps for the Xbox 360 and PlayStation 3, Pandora hopes you'll jam to its tunes through the consoles' Web browsers. The streaming music service has just launched a new Pandora Web app, which is accessible through the two game consoles and other set-top boxes with browsers that support HTML5. 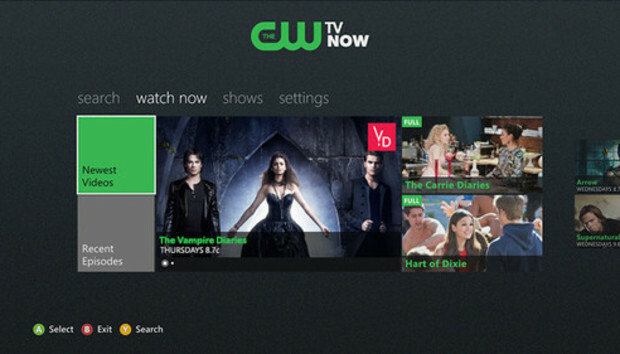 If you visit tv.pandora.com on a PC, the site provides instructions on how to open the app through the Xbox 360. Basically, it involves opening Pandora.com on the Xbox version of Internet Explorer, but the site also provides instructions on adding Pandora to Favorites, allowing the Web app to appear in the My Pins area of Xbox Home. Although Pandora's instructions are Xbox-centric, the TV-friendly version also works on the PlayStation 3. Pandora's blog post didn't specifically mention the Wii U, though that console's browser also supports HTML5. Compared to the regular Pandora Website, the TV app is simple and slick, without any display advertising--for now, at least--or other clutter. While it lacks certain advanced features, such the ability to share tracks on social networks, all the basic functionality is intact, and the interface seems optimized for the 10 foot experience. You can give a thumbs up or down to tracks, create stations based on the current artist or song, and even delete stations from your library. As GigaOM reports, Pandora's new Web app doesn't preclude native TV apps down the road. But at most, these native apps will be wrappers for the core HTML5 experience. Pandora says this will allow the company to improve app quickly across many devices, without requiring users to download app updates. By contrast, the current Pandora app for connected TVs and set-top boxes involves dozens of implementations for various TV makers and chipsets. In the future, Pandora wants to focus on greater interaction with mobile devices, such as the ability to start streaming music on a phone and continue listening on a television. Pandora CTO Tom Conrad told GigaOM that the company has been spending time with Netflix and YouTube, as they work on a joint standard for these types of features. For now, though, Pandora is just offering the basics. While the browser-based app isn't quite as convenient on game consoles as a native app, any Pandora access at all is long overdue.